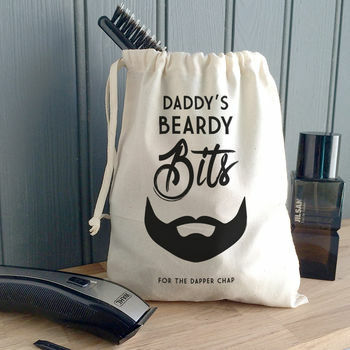 A perfect way to encourage him to keep the bathroom tidy and all his beardy tools in one safe place. Now he can gather up his beard oil, scissors, combs and wax and store them away after his grooming sessions! An ideal travel bag for holidays or business trips. 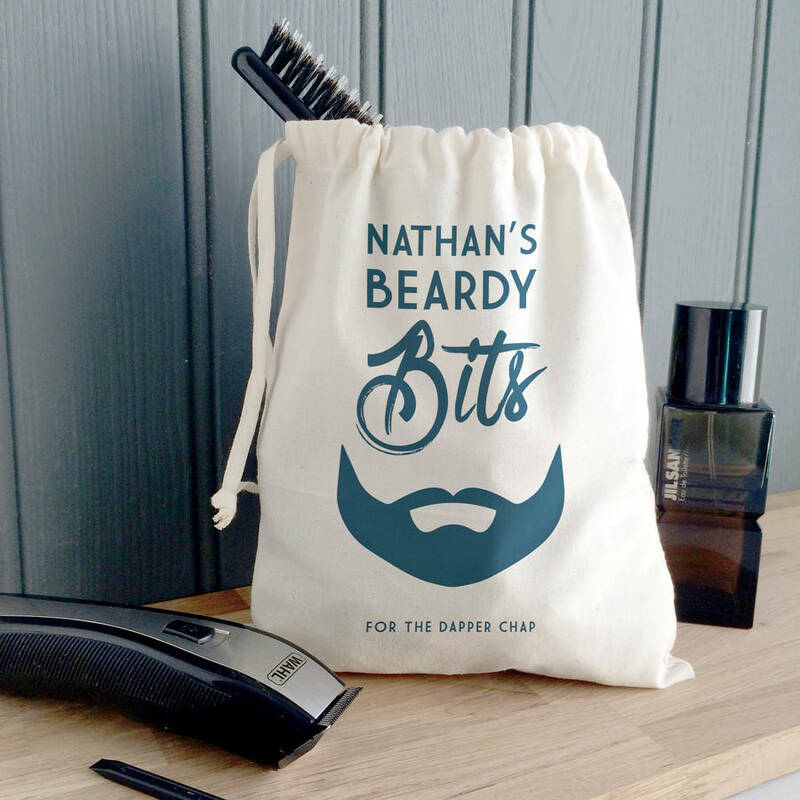 Makes a lovely gift for christmas, fathers day, birthdays....or as a wedding gift for the dapper groom. Designed and created especially for you by The Little Picture Company.